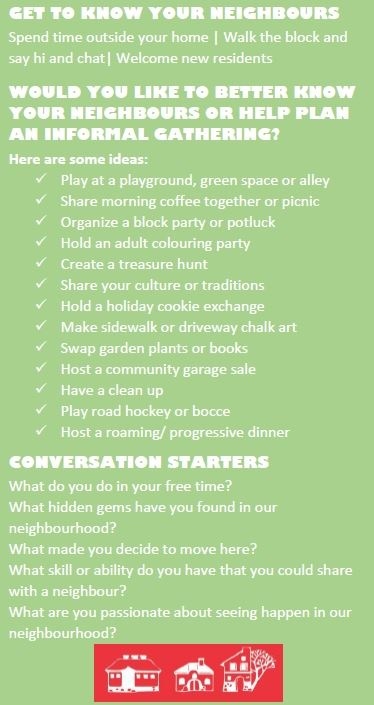 Social neighbourhoods are safer, healthier and more fun! 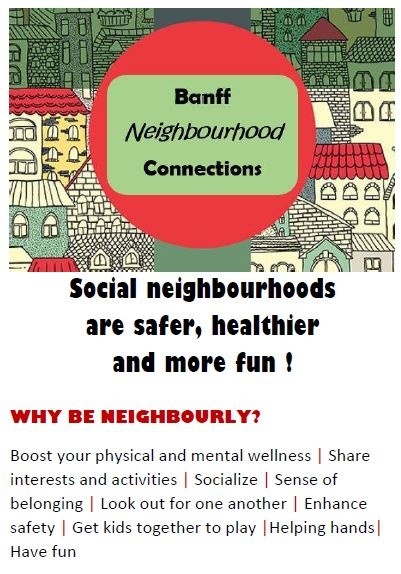 During the Town of Banff’s Community Social Assessment in 2013, residents identified community connections as a priority. Over 600 neighbours got together at more than 20 gatherings including block parties, outdoor movies, bouncy castles, chalk party, garage sales, biking, creek clean ups, lemonade stands and had fun and connected. Individually new neighbours were welcomed and seniors helped. Block party checklist with street closure request form, food guidelines, games ideas, community clean up contacts etc.